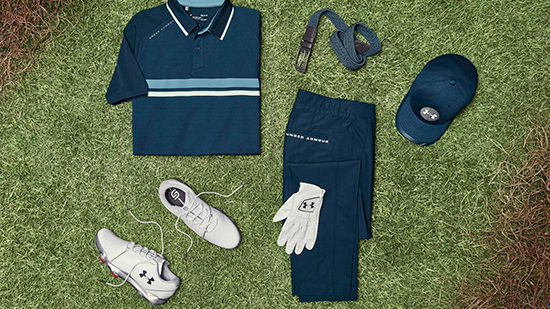 Jordan Spieth is built for this tournament. Having captured his first green jacket in 2015, he is always one of the favourites at the Thursday, 11th April, start of the U.S. Masters and consistently finds himself in contention through the weekend. 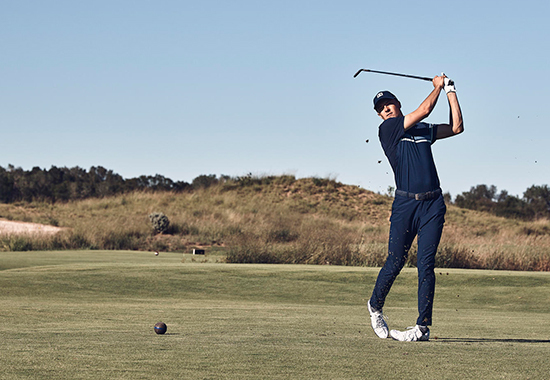 With the eyes of the golf world focused on the famous town on the eastern border of Georgia, where legends are made every year, Jordan will be wearing one of Under Armour’s most innovative technologies – Under Armour Vanish. The material, powered by the latest Microthread technology that removes moisture almost instantly, allows Jordan to remain focused and visualize his next shot. Vanish is also soft and flexible, allowing seamless motion for any type of swing, in any condition – from the 30-foot birdie putt on 16 during his furious 2018 comeback, to the perfect flop shot on 18 to save par on the way to his legendary 2015 win. 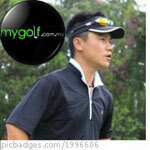 "There's something special about the first major of the season; the buzz from the fans, the players, the course. It's intense and really gets my energy up. 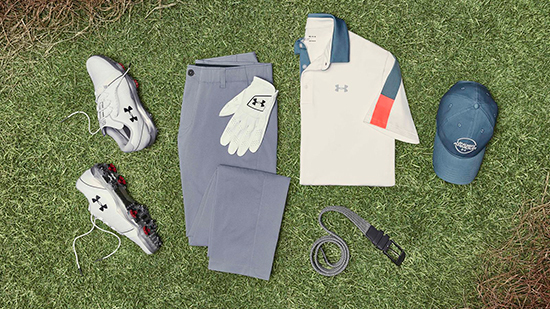 I know that my team at UA has given me the absolute best tech available, from my Spieth 3s to the apparel, that will let me focus on my game. It's an exciting time of year and I can't wait to get started," quotes, Jordan Spieth, the three time major champion winner. 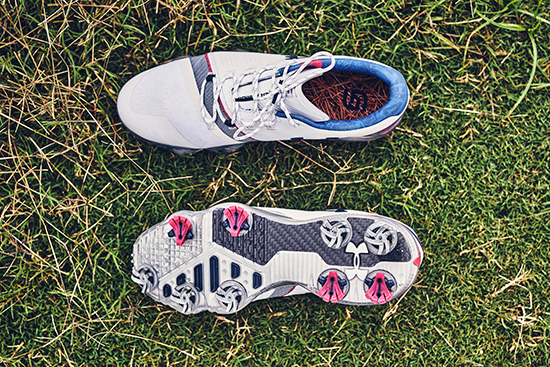 Jordan will also be wearing a special edition of the Spieth 3, the most innovative golf shoe on the market, featuring best-in-class traction, comfort and waterproofing. 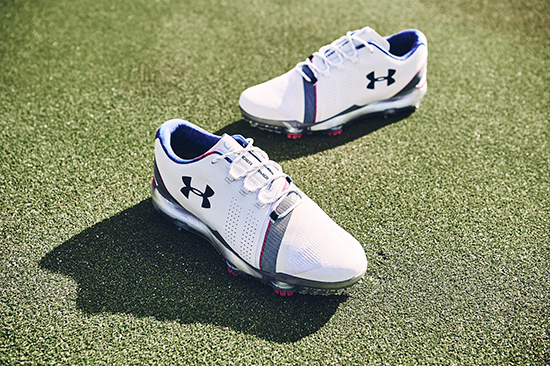 This Spieth 3 Masters limited-edition shoe features nods to the course that Jordan is quick to acknowledge as his all-time favourite. 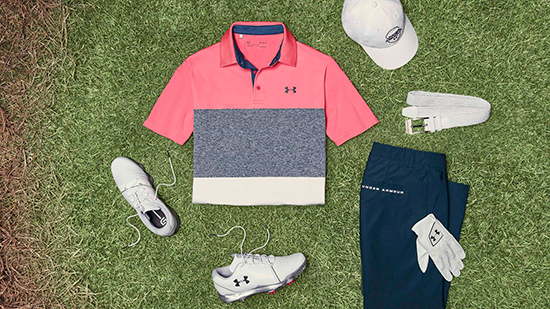 Subtle pops of pink call back to the famous azalea flowers that are in full bloom in early April, while the visual of the foot bed mimics the one-of-a kind pine straw seen throughout the course. The collar lining rounds out the personal touches, featuring Jordan’s record tying -18 from 2015 and other record low scores during that week. 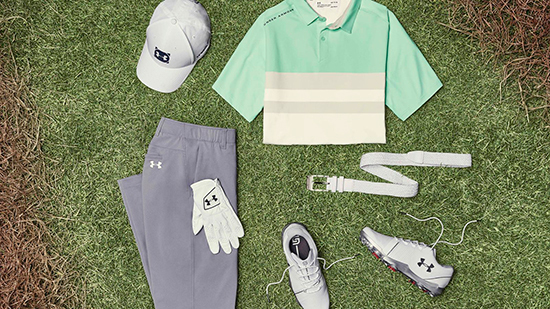 Jordan’s scripting rounds out with the Under Armour Playoff Polo and Iso-Chill technology, relying on the brand’s leading golf innovations to retain optimal performance throughout the four days of the tournament.